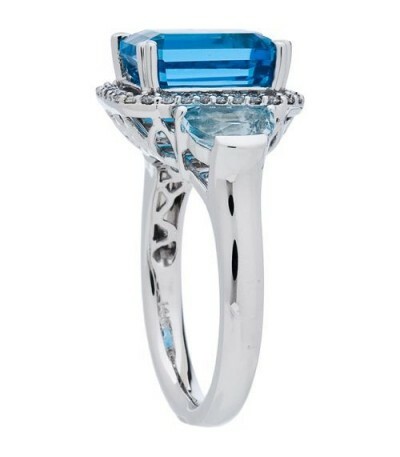 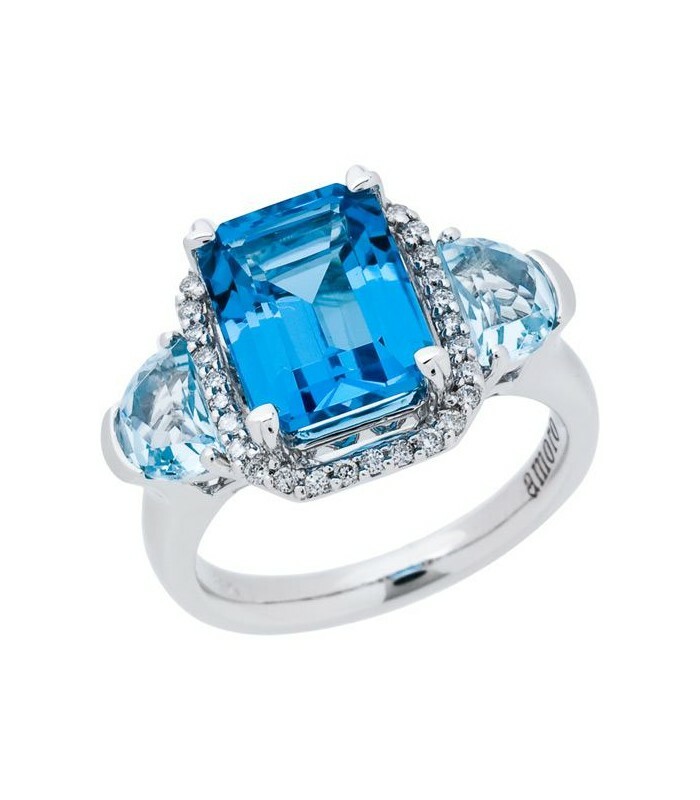 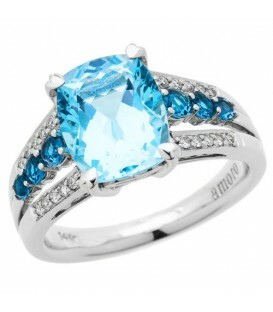 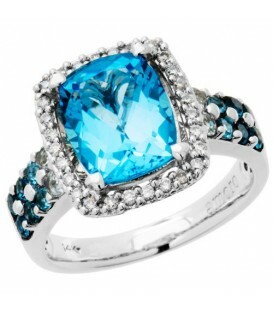 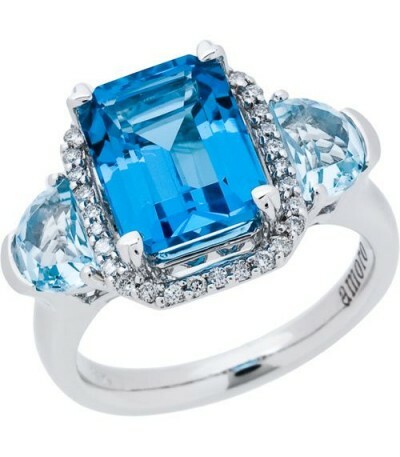 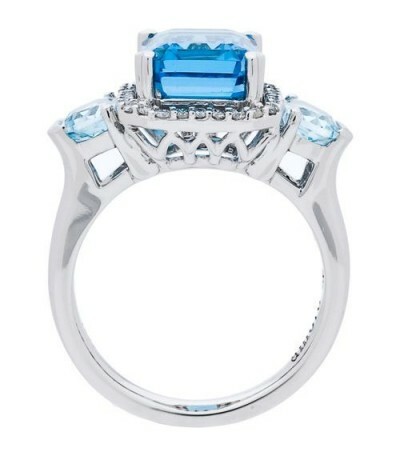 A sparkling 5.32 Carat Emerald Cut Blue Topaz and Diamond Ring in 14Kt White Gold. 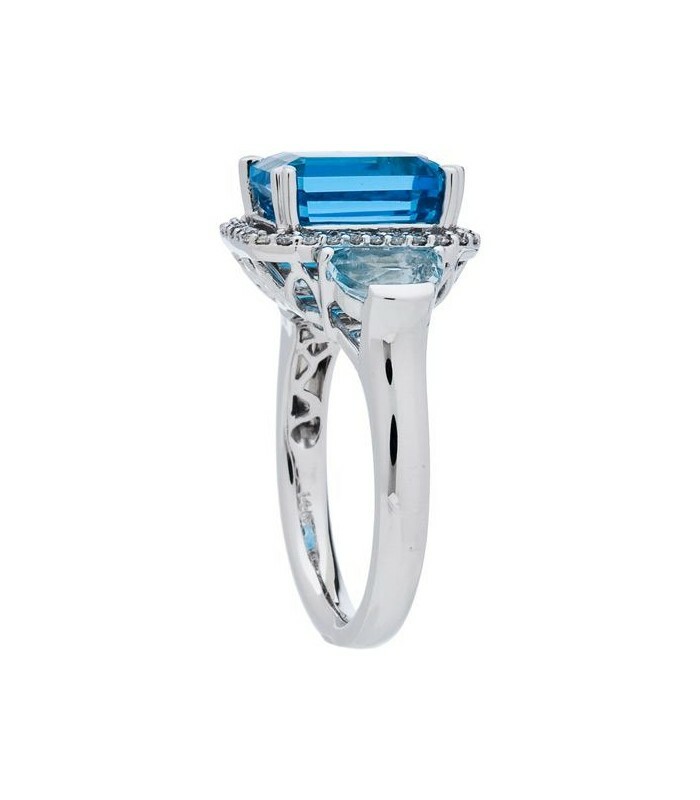 A sparkling emerald cut Blue Topaz, two round cut light Blue Topaz and round cut Diamonds in an exclusive 14 Karat white Gold Amoro design. 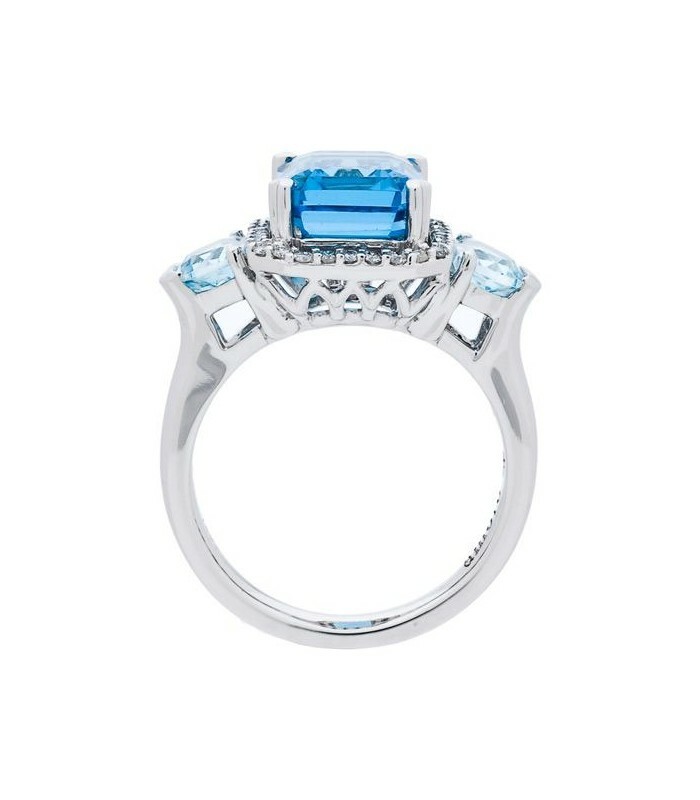 *RING* One (1) fourteen karat (14K) white gold Blue Topaz and Diamond ring featuring: One (1) prong set, emerald cut, Genuine Blue Topaz weighing approximately 3.94 carats, Two (2) prong set, round shape, Genuine light Blue Topaz weighing a total of approximately 1.22 carats and Thirty-three (32) prong set, round cut, Genuine Diamonds weighing a total of approximately 0.16 carats. 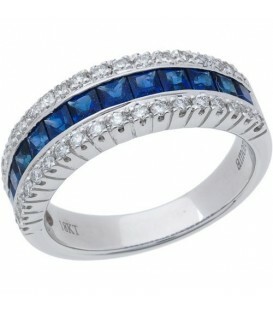 Diamonds are H-I color with a clarity of I1-I2. 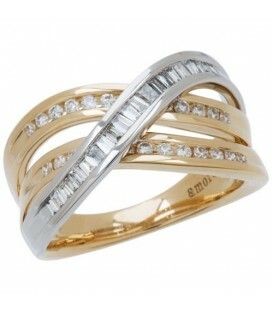 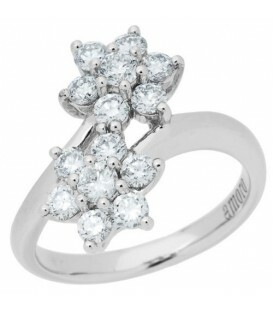 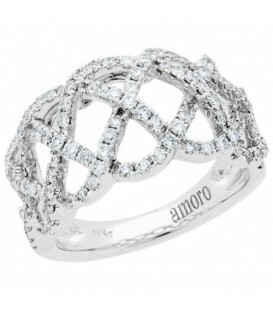 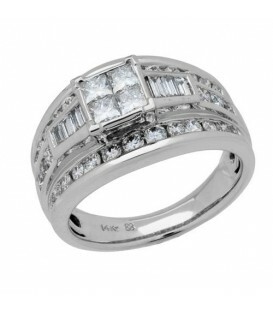 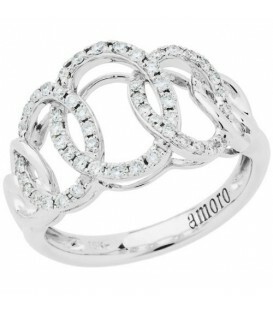 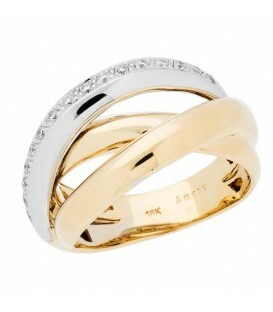 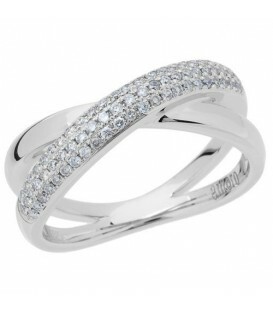 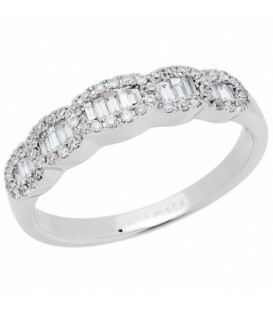 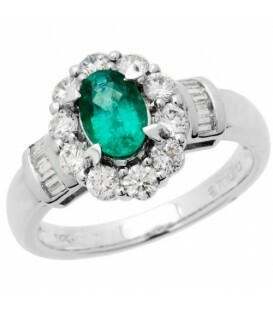 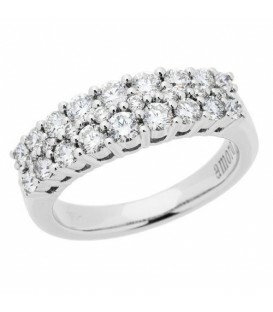 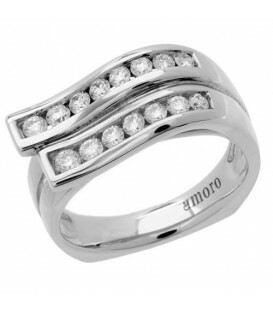 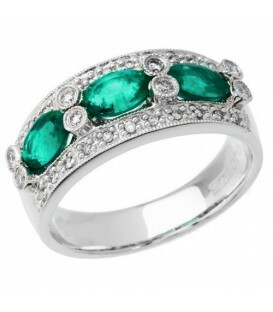 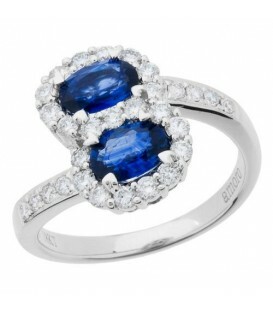 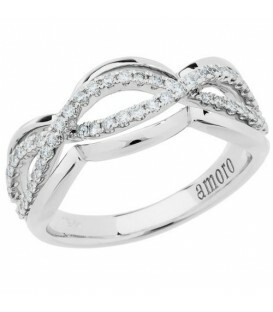 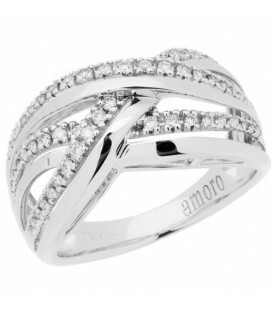 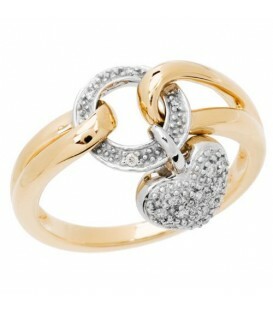 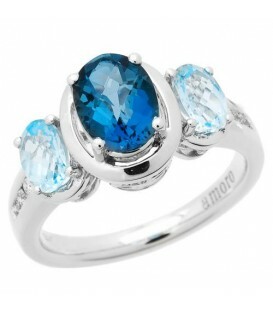 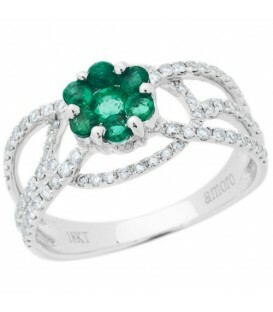 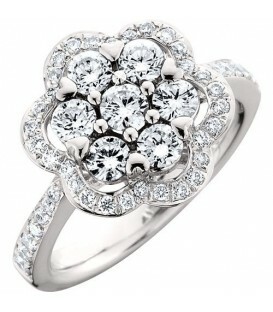 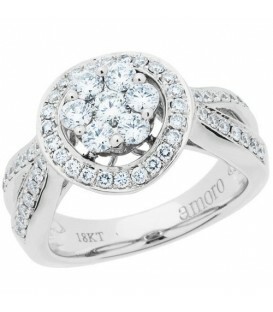 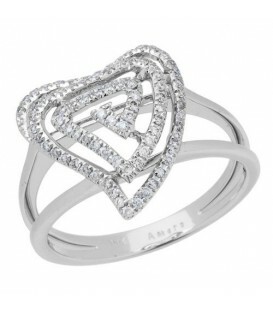 Ring features the Amoro Diamond Kiss weighing 0.01 carats.